You feel loved when someone speaks kind words to you, encouraging you and lifting you up. 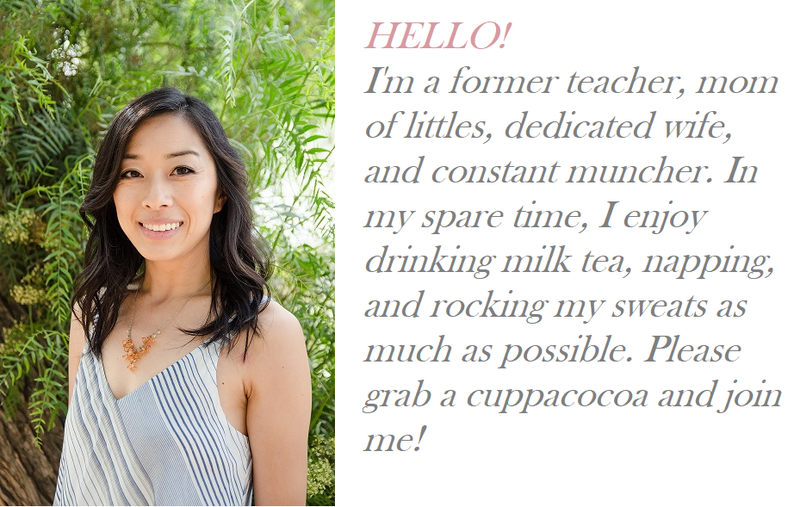 Sweet letters, emails, and notes (and blog comments!) also mean a great deal to you. Hearing reasons to support why people appreciate you gives you warm fuzzies that stick long after the words are spoken. On the other hand, unkind words make the old “sticks and stones” saying feel like the biggest lie on the planet. Nothing says I love you more than someone doing something for you– cleaning, cooking, running errands. You feel loved by their efforts and time and energy. You are disappointed when others don’t follow through with their commitments or don’t do it well. You look forward to holidays and special occasions in anticipation of the gifts you may receive. It means a lot to you when you see that someone has put a lot of effort, thought and/or time into a gift. You are disappointed if a special occasion is not marked with a thoughtful gift. You really appreciate having your loved one give you their undivided attention. You highly anticipate special time planned to be together, and that means no phones, no TV, no distractions. You enjoy quality conversations and meaningful activities together. This isn’t just about the bedroom. It also includes touch like hugs and pats on the back. You tend to be touchy, and appreciate it when others use touch as a way to express excitement, concern, care, and love. Knowing your love languages can make a world of a difference in your relationship. If this is a new concept to you, maybe it never occurred to you that he was expressing love when he washed your car. Maybe you’ve interpreted his lack of thoughtful card-writing as a lack of love, but all the while he was wondering why you felt unloved when he had just swept up all the leaves in the yard and cleaned the gutters! Not only can it shed light on how you can love others better, but it can help you appreciate and understand better when others are loving on you. Both have been true for me. Even though I’m pretty sure of what my languages are, I took the survey just now, and was surprised at myself as I realized certain languages are now higher up on my list than they used to be. For example, ten years ago I would have thought a bouquet of roses would be a sweet expression of love. Since then, I’ve learned to appreciate practical things like housework and diapers (i.e. acts of service) a lot more than I did before marriage. Now when Ben cleans the bathroom and vacuums, it says, “LOVE YOUUU!! !” way more clearly than a sweet-smelling flower would. Way. I think this is due partly to growing up and having so many real-life responsibilities associated with taking care of a home and a baby. But I think it’s also a side-effect of being married to a man whose top love languages include words of affirmation and acts of service. I could have insisted that he write me chapters on his endless love and devotion to me… or I could try to learn to appreciate the weed-pulling and daily humidifier maintenance as his way of communicating love to me. After years of learning to see these daily acts of service as his way of showing love, I’ve come to appreciate them more and more… so much so that now, it’s one of my top love languages! This was not the case a decade ago. Regardless of your love language, I think it’s nice to mix things up a bit sometimes. Although gifts and touch are lower on my list, I can’t say I’d mind if my sweetheart swooped into the house bearing red roses and chocolates from time to time (actually, he does, but it’s usually cupcakes and croissants :)), and even I enjoy a good cuddle here and there. However, I think it is far more important to identify how you and your significant other perceive love the best. This way, you can better care for each other by loving them in their language, and also better appreciate and “hear” when your significant other is communicating love to you, even if it’s not the way you’re naturally wired to receive it. How about you? Which of these languages resonated with you? I’d love to hear in the comments below! I love the 5 Love Languages, and I also think it’s important to reassess at different stages of life. I first read it when I was married but had no kids, and Words of Affirmation were my top language. Now that I have three small children 4 and under, my love languages have definitely changed! I still value loving words, but Quality Time and Acts of Service have shot up the list! Agreed! Sounds similar to my experience :). I am so an acts of service gal (I think). I should go take the test to see if mine are still the same! More accurately – I love it when people really think through their actions to determine how it’s going to affect me and what I have to do later! I read this book a several years ago and really liked it then… it really helped clarify some of the issues the Engineer and I were facing… but I really should track it down and reread it – as you say! Ooh good to know. Thank you for sharing. And now that you mention it, I agree– there’s a lot to say for rereading books. We are different people reading the books now than we were back then. I don’t do it nearly enough (it’s hard enough getting through the books I want to read just one time! ), but there’s a reason some books have really impacted us so they’re probably worth a second look! If only I could remember who I lent it to… haha. Such a great book. Helps with all relationships.. Kids, coworkers, parents…anyone we spend time with. So funny about Ben cleaning bathrooms ….. Now whenever my husband takes out the trash I will hear “I loooovve you” too. Thanks for the reminder of this brilliant book! Yes! I love books that shed light on something like this that totally make sense and actually change my perspective and understanding of those close to me (for the better!). Glad you will hear more “I love you’s” through everyday tasks now ;). i’ve only recently started reading the 5 love languages. for me, acts of service ranks high – maybe b/c i’m always doing something around the house so it’s nice when someone (husband or kids) help out! 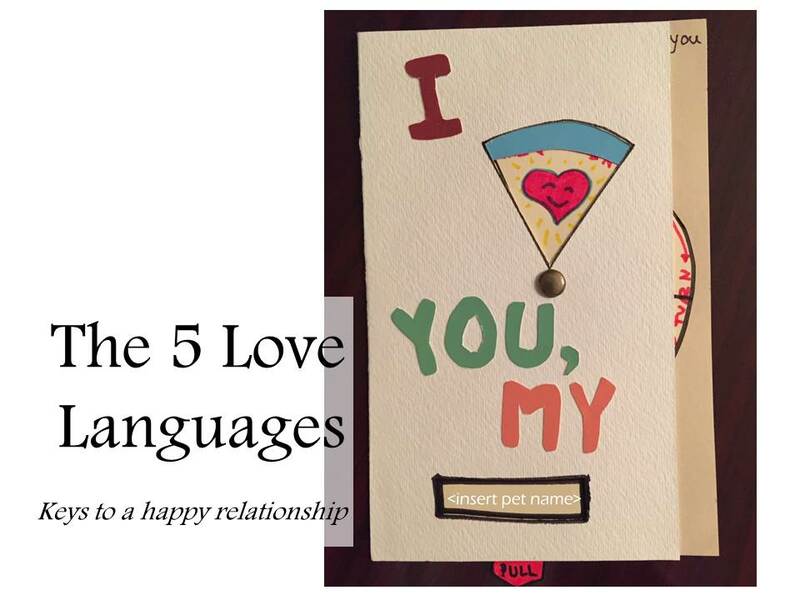 actually, b/c my kids are a bit older, i’ve started reading the 5 love languages for kids which is really helpful too. oh, and also, for marriages, shaunti feldhahn has some good books too for men and women. we heard her talk at our church a few months ago and she had some really good, research-based analysis about what women want and what men want out of a relationship and they were so true! just fyi! Oh both books (Love languages for kids and the Shaunti Feldhahn books) sound interesting! I will look into it! Thanks.